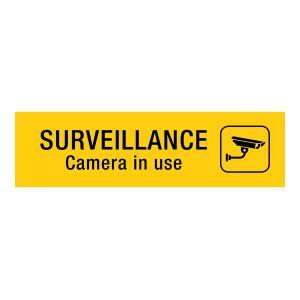 The Apli Surveillance camera sign can be used to mark the areas that are under surveillance. It has a self-adhesive backing and easily sticks to most surfaces. This sign is ideal for use at corporate environments, banks, retail stores and more.